Emphasizing that Christ's 'death defying act' can be confirmed through reading the scriptures, Dr. George Somerville shows how, we too, can experience the reality of His resurrection; by dying to our old nature and taking on the new life of the risen Christ. This volume not only explores the history and the politics leading to this doorway of faith, but it also details the spiritual steps to both finding that threshold and crossing it. Living the Resurrected Life is a spiritual journey! 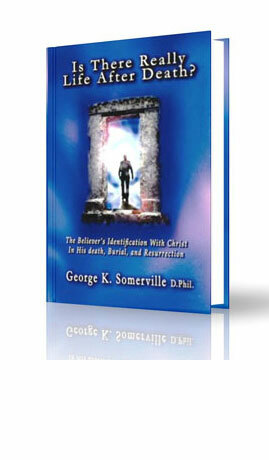 Dr. Somerville's book is an easy to understand and an effective devotional reading for the solid and mature Christian. Despite the title, this is not a book about life after our physical death. Instead, Dr. Somerville describes the born again experience for all believers in which we die to our sinful nature and become new creations. He discusses how then we have fellowship with Christ and his followers and an assurance of salvation and eternal life. From this salvation leads us into a further awareness of our sinful nature and then into repentance and a living hope, all worthy of further meditation and understanding. In addition, Somerville includes ways to differentiate between true revivals coming from the Holy Spirit and counterfeit revivals, a practical and essential truth for all believers.